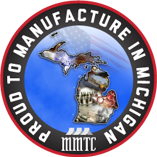 A&O Mold – Mold & Engineering Inc.
We are proud to be a 100% on-time, American made, Non-Union Shop. Proudly serving the US and Mexico. "A&O sincerely seeks to partner with their customers and align to the expectations. They just don't execute the work order, they execute a tooling solution." "A&O provides an addictive allegiance where an otherwise unobtainable delivery is dependably met." "Every project is treated with committed integrity and the relentless drive for total satisfaction." "I've been very happy with the tool quality and responsiveness. I look forward to doing business with A&O in the future. " "I am very Happy with A & O Mold! You guys were on time, good progress reports, and the mold ran very well--Both Molds. Look forward to doing business with you guys in the future." ©A&O Mold & Engineering Inc. All Rights Reserved.